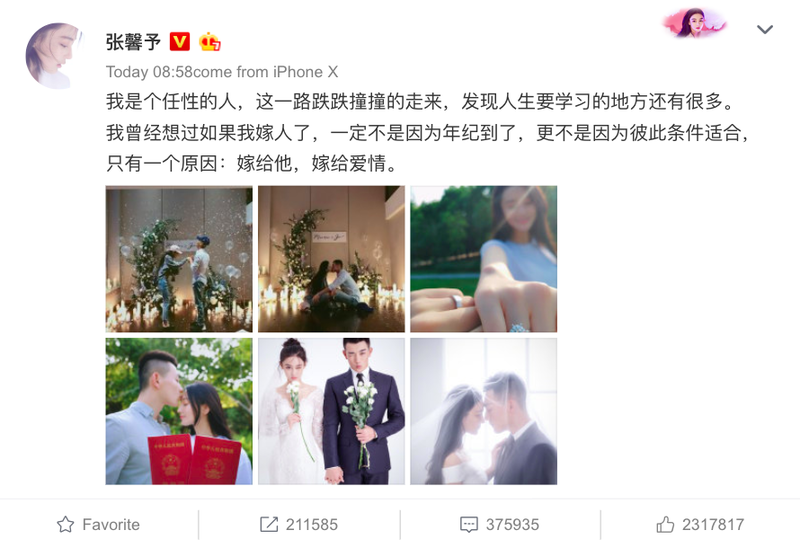 As someone who's past relationship was in the public for everyone to see, Viann Zhang Xinyu (Song of Phoenix) has been quite inconspicuous about her new beau. 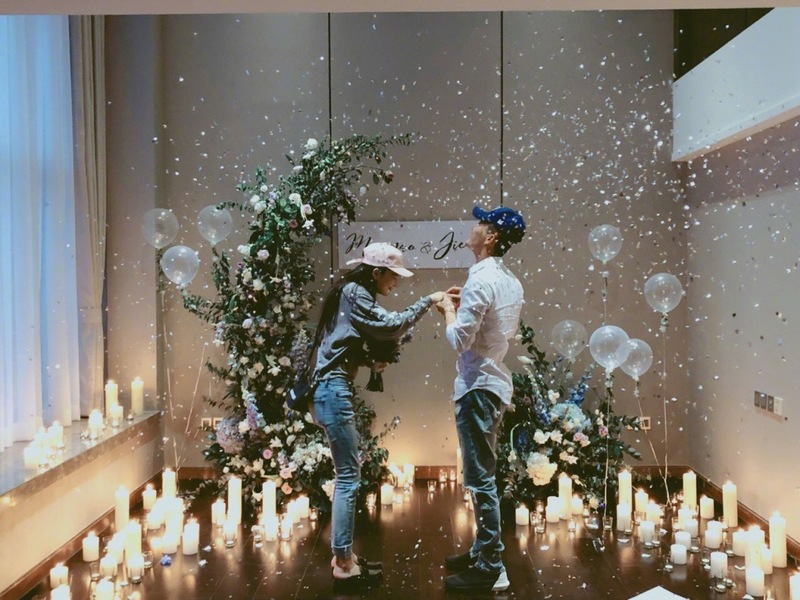 I can't remember that she ever confirmed the speculations that she was dating a military man but today, the actress made a joyous announcement to share that she's actually gotten engaged, registered her marriage with wedding photos to boot. 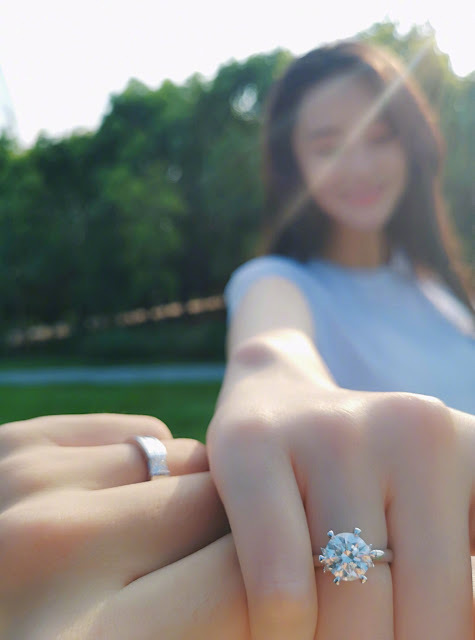 She writes on weibo, "I am a stubborn person. Falling and bumping along this road, I've discovered that there is a lot to learn about life. I once thought that if I marry, it won't be because of marrying age and especially not because of qualifications. There's only one reason: Marrying him is for love. 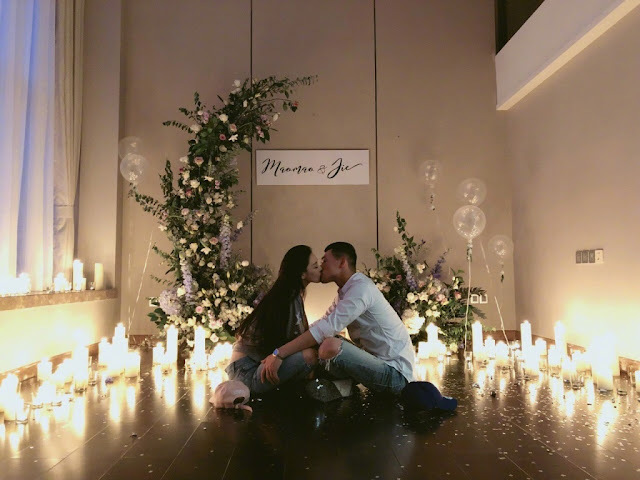 The groom, He Jie, was one of the instructors in the Chinese variety show Dog Partner wherein Viann Zhang was a participant. I enjoy reading about real life happy endings like this, they seem so in love. A big congrats to the happy couple. More stunning photos here. I remember the episode on the show when he cut her hair, can't believe they're married! Biggest congratulations!